Sometimes what you think you don’t want is exactly what you need. After a long four-year engagement, Lydia Henson makes her decision. Forced to choice between having a family or marrying a man who adamantly against fathering children, she chooses the man. She can live without children. She can’t live without the man she loves. Jason Montgomery doesn’t want a family, or at least that’s his story and he’s sticking to it. The falsehood is less emasculating than the truth. On the eve of their wedding, Lydia is unexpectedly given her sister’s three children to raise. Jason and Lydia’s well-planned life is thrown into chaos. Everything Jason has sworn he doesn’t want is within his grasp. But as he reaches for the golden ring, life delivers another twist. 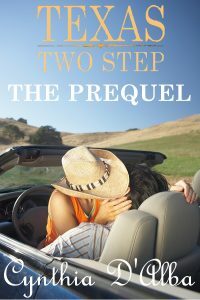 The first thing he noticed when he pulled into her drive was that grass had begun growing and needed to be cut. The weeds in her flower beds seemed to have sprung up overnight. He looked down at his khaki shorts and nice polo shirt. He was not dressed for yard work. Maybe tomorrow. The sound of a children’s movie seeped through the door. He smiled and knocked. “I’ll get it,” a little voice said. The door flew open and Ellery and Annie stood there. “Uncle Jason,” they both cried. “I told you not to open the door,” Lydia said, marching up behind them. Ellery’s face took on a stubborn expression before she held up her arms for Jason to pick her up. Annie did the same. He lifted both girls into his arms, one on each side of his body. Jasper had followed the family to the door and was now on the porch butting Jason for a scratch. “Good afternoon, princesses. Have you both been good today?” Both girls nodded in the affirmative. The dog wandered into the front yard and lifted his leg on the only tree out there. As soon as Lydia called his name again, he bounded up the stairs and into the house. Jason carried both girls into the living room and set them back on their feet. There were two spotlessly clean plates on the floor. “Mine too,” Annie said. “Bad dog,” Ellery said. Jason chuckled. He couldn’t help it. The bad dog was lying on his back, all four legs in the air. Lydia rolled her eyes. He did and the kids sat down to watch a movie he was sure they’d seen no less than a million times. “Come on in the kitchen. You want some wine? A beer?” Lydia said. He turned Levi’s highchair until it faced him. “I swear, Levi. Women are so complicated. Trust me.” Levi gurgled, a drop of drool running down his chin. He would never admit it, but feeding Levi was a little scary. He’d never fed a baby like this. When he’d had the kids for the day, feeding Levi had consisted of handing him a bottle and letting him handle it from there. This…this was totally different. But law school had taught him to fake it until you make it, so he jumped in, uncapping the jars. He sniffed the first one. It didn’t smell bad at all. Strained prunes. Yeah, that didn’t sound so great. Still, he put a little on the spoon and held it up to Levi. 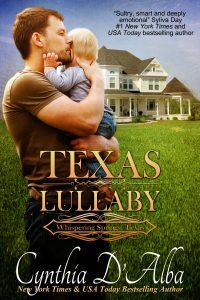 He opened his mouth like a baby bird, and Jason deposited the icky-looking mess in there. Levi immediately spit it out, splattering Jason’s clean polo. Risking a glance at Lydia, he found her resting her chin in the palm of her hand, her elbow on the table, and the cutest grin he’d ever seen on her face. This time, the prunes stayed in, even if a little oozed from the corners of his mouth. Levi slapped the highchair tray and grinned. Before she could finish her sentence, the doorbell rang. “I’ll get it,” Ellery yelled. “Good God. That girl is going to let in a serial killer one day.” She sighed. “Don’t open the door until I get there,” she called back. “Not that she’ll listen to me,” she added, standing and hurrying out of the room. 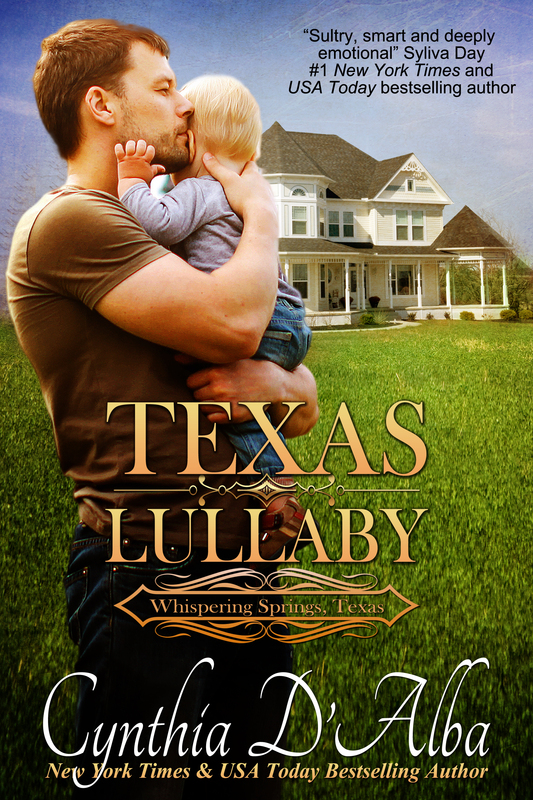 I don’t know why Texas Lullaby was on my kindle. It doesn’t really matter. I am just happy that it was there. I got so involved with the story that I lost time, reading late into the night. The book is packed with real life situations that had me bawling one minute and swooning the next. I could empathize with the characters. And what great characters they were and such a variety–gorgeous white collar male, Pretty smart female doctor that gets dealt a devastating hand, doting grandparents. The extended family members are just as involved and interesting. The characters and story lines that were mentioned from previous books had me buying the rest before I closed down the kindle and called it a night. Of what love is truly all about. This book starts with a tearjerker beginning and moves into what happens when a family comes together during a tragedy and you find out what real love is. Such a great story! I loved it. I could feel Lydia’s stress at being overwhelmed at taking care of three children when she thought she would never have children in her life. My heart went out to Jason as he tried to find his place in Lydia’s life when he thought he had it all figured out. There is a surprise toward the end that I cheered for. Loved how the book ended! Such a great read!